November 7, 2012 | David S. Maldow, Esq. LifeSize recently announced some new updates to its UVC Platform. 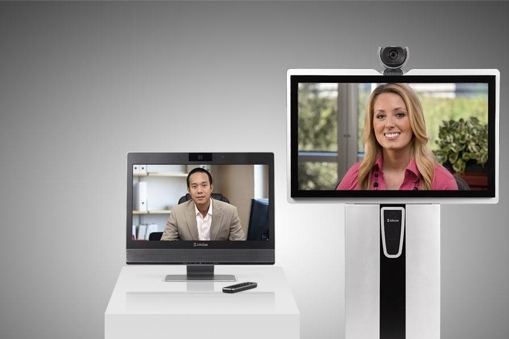 We last covered UVC in September, when LifeSize updated it to provide support for multipoint meetings. 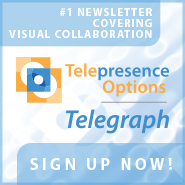 LifeSize's VP/GM Video Solutions, Michael Helmbrecht, was kind enough to chat with us here at Telepresence Options, and give us some insight on LifeSize's vision for the UVC Platform. While we are pleased with the new features contained in this current announcement (relating to virtualization support, VC management, and recording/streaming) we think the real story is what this all says about LifeSize's long term strategy. LifeSize had always historically been outmuscled by the larger video hardware vendors. As a result, they had to be more nimble and responsive to market changes and user needs. They were the first vendor to see the value of high definition video conferencing, which arguably was a pillar of the telepresence revolution. As high definition systems entered the market they enjoyed unprecedented usage and adoption. Perhaps more importantly, the industry finally began to shed its image issues from historically failing to meet extremely high user expectations. LifeSize's relatively affordable and user friendly video products were well received during this era, despite the company's disadvantage from a sales/channel perspective. Today's videoconferencing market is developing at a mind numbing pace. Every week we have new technology, new business models, and even completely new uses of video. If LifeSize is going to compete, they will have to be more flexible and responsive than ever before. They recognize this challenge, and are reinventing themselves based around their UVC offering as a result. Michael explained that the UVC common platform has allowed LifeSize to accelerate their pace of development, respond quicker to customer requests, and roll out new features faster. LifeSize's newest features are in direct response to user demand and feedback, and demonstrate the flexibility of the UVC model. As a truly virtualized solution, you can literally download UVC and run it on your own server, no need to purchase a box from LifeSize. By adding support for Microsoft Hyper-V, in addition to their existing VMware support, LifeSize now covers 90% of existing virtualized environments. Enterprise is demanding the ability to host solutions on their generic internal Microsoft servers. The benefits in manageability, cost, and scalability have been covered at length. LifeSize is delivering and their Hyper-V support is available today. If you have a big video environment, you need a tool to help you manage it. Cisco has TMS, Polycom has CMA, and LifeSize had Control. The new UVC Manager is a full replacement for Control, updated and upgraded to work as a seamless element of the UVC platform. Call scheduling, meeting management, endpoint provisioning, reporting, etc., are now available as an affordable addon (starting at $399) to UVC. This is also available today. Michael walked me through the UI of LifeSize's streaming/recording capabilities and I was definitely excited about these updates. When you put a bunch of video conferencing equipment in an enterprise, people see the cameras and get creative. It isn't long before they want to use the equipment to create their own videos, whether it is simply to record meetings, or to create training videos, etc. You want to empower, not discourage this kind of creativity. LifeSize's UVC Video Center is basically an internal YouTube channel for your business (check out LifeSize's internal Video Center site). Users can easily use their VC or other video equipment to make their own videos and upload them to the UVC Platform. Admins can create channels and control access to the content. This is a solution that can leverage your existing infrastructure and your existing talent, to produce unexpected value. 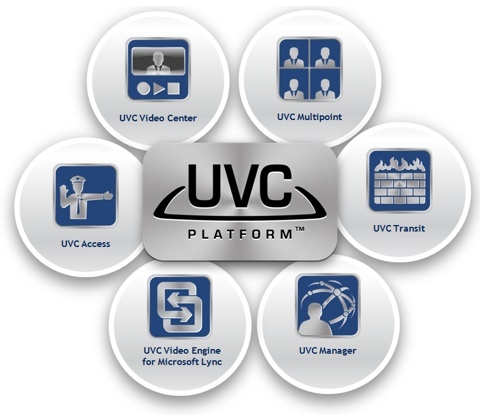 At $9,999, this seamless extension to UVC is a significant savings over third party recording and streaming solutions. This too, is available today. LifeSize deserves some credit for announcing features as they become available, while remaining discreet regarding features under development. There will be no "wave of announcements" including a large number of TBD items. Obviously, LifeSize is most certainly working on many of the same new features that its competitors have announced for 2013. They wouldn't give specifics, but I am sure they are extremely aware of the buzz around things such as browser based video, BYOD and interop. It may be pure conjecture, but it is fair to assume they will be releasing roughly similar features along a roughly similar time-frame as the rest of the traditional market (which is itself rushing to catch up to new industry disruptors). LifeSize is looking at the big picture, and believes that the survivors of the current industry turmoil will not simply be the vendors with the hottest new features, it will be the vendors who can adapt and change as the technology, and user expectations, continue to develop in potentially unforeseeable directions. If you have a big video environment, you need a tool to help you manage it. 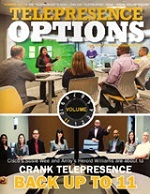 Cisco has TMS, Polycom has CMA, and LifeSize had Control. The new UVC Manager is a full replacement for Control, updated and upgraded to work as a seamless element of the UVC platform. Call scheduling, meeting management, endpoint provisioning, reporting, etc., are now available as an affordable addon (starting at \$399) to UVC. This is also available today. Michael walked me through the UI of LifeSize's streaming/recording capabilities and I was definitely excited about these updates. When you put a bunch of video conferencing equipment in an enterprise, people see the cameras and get creative. It isn't long before they want to use the equipment to create their own videos, whether it is simply to record meetings, or to create training videos, etc. You want to empower, not discourage this kind of creativity. LifeSize's UVC Video Center is basically an internal YouTube channel for your business (check out LifeSize's internal Video Center site). Users can easily use their VC or other video equipment to make their own videos and upload them to the UVC Platform. Admins can create channels and control access to the content. This is a solution that can leverage your existing infrastructure and your existing talent, to produce unexpected value. At \$9,999, this seamless extension to UVC is a significant savings over third party recording and streaming solutions. This too, is available today. LifeSize deserves some credit for announcing features as they become available, while remaining discreet regarding features under development. There will be no \"wave of announcements\" including a large number of TBD items. Obviously, LifeSize is most certainly working on many of the same new features that its competitors have announced for 2013. They wouldn't give specifics, but I am sure they are extremely aware of the buzz around things such as browser based video, BYOD and interop. It may be pure conjecture, but it is fair to assume they will be releasing roughly similar features along a roughly similar time-frame as the rest of the traditional market (which is itself rushing to catch up to new industry disruptors). LifeSize is looking at the big picture, and believes that the survivors of the current industry turmoil will not simply be the vendors with the hottest new features, it will be the vendors who can adapt and change as the technology, and user expectations, continue to develop in potentially unforeseeable directions.